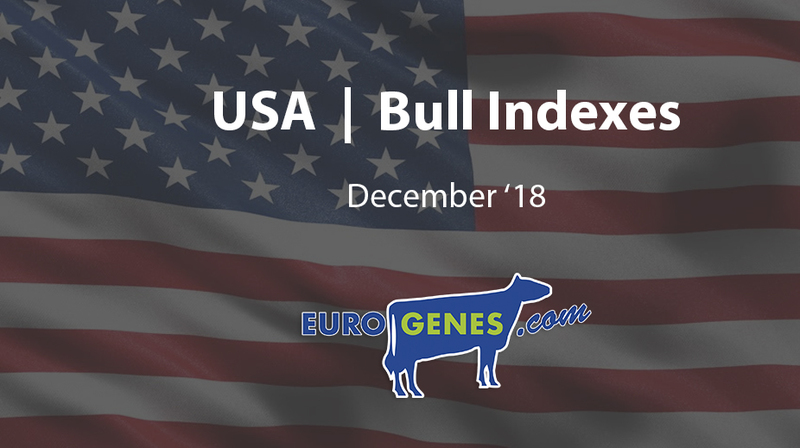 This afternoon was the December index run in the States. 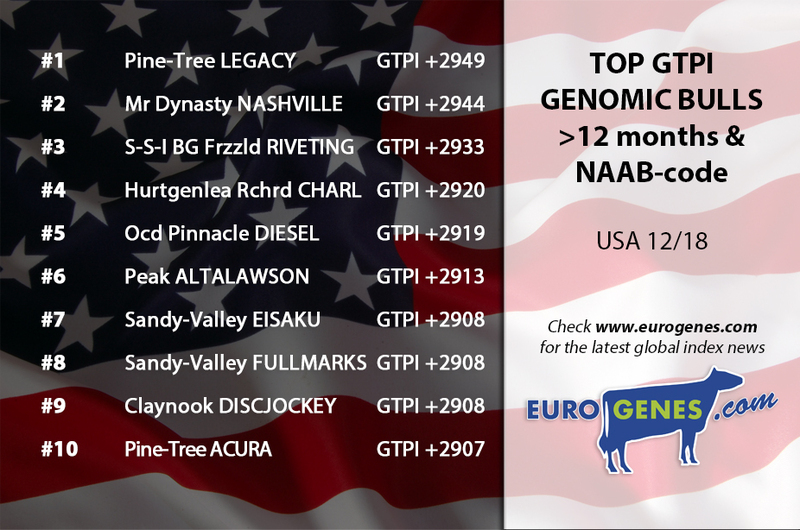 The genomic list with sires >12 months and a NAAB-code is still leading by Pine-Tree Legacy with +2949 GTPI. The second position is again for Mr Dynasty Nashville who notes +2944 GTPI. Increasing in the list is S-S-I Bg Frzzld Riveting with +2933 GTPI, which is good enough for the third place. The fourth place is token by Hurtgenlea Richard Charl with +2920 GTPI. NEW in the top 5 is Ocd Pinnacle Diesel, who notes +2919 GTPI. At the daughter proven list are not big chances. 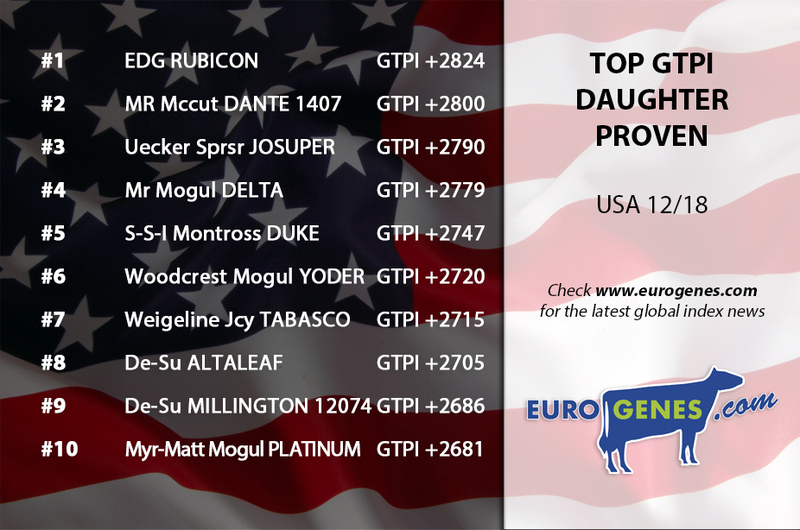 EDG Rubicon is still leading the list with +2824 GTPI followed by Mr Mccut Dante with +2800 GTPI. Uecker Supersire Josuper stays at place three with +2790 GTPI near by follows Mr Mogul Delta with +2779 GTPI. S-S-I Montross Duke makes the top 5 complete with +2747 GTPI.